Sixty-three-year-old Jean Woodall tried tree-climbing, karate, and trapeze before she discovered laughter yoga and found a thrill that beat them all. She leads a once-a-month class called Laughter for Everyone out of a Unitarian church near Emory, and it’s totally free. On a rainy Wednesday night, fifteen people sauntered into the meeting room, dropped their umbrellas, and formed a circle. A mix of regulars and newcomers, we introduced ourselves by offering up a staged laugh. Mine was more a squeak and a choke, but nobody judged. “The thing about laughing,” said Woodall, “is you can fake it.” The physical benefits remain. 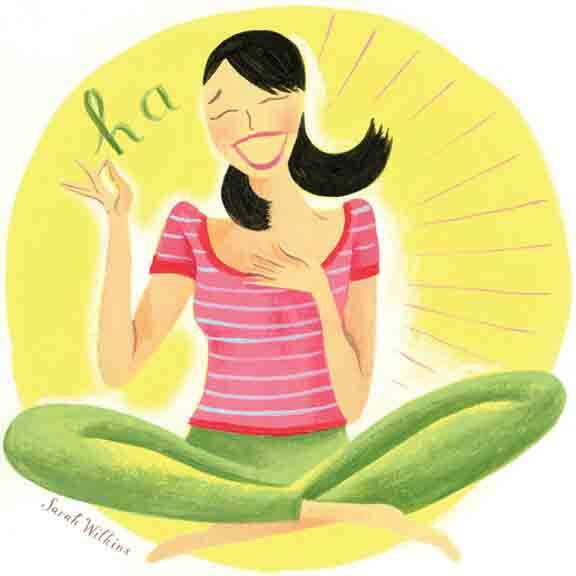 Laughter pumps up endorphins, lowers blood pressure, and burns calories. Dr. William Fry, a Stanford professor who promotes humor as medicine, has likened one minute of laughter to ten minutes on the rowing machine. Mumbai physician Dr. Madan Kataria held the first laughter yoga session in a park in 1995. Today, Laughter Yoga International maintains a network of more than 6,000 clubs, including Woodall’s. The practice doesn’t actually involve poses but incorporates yogic breathing to harness mental and physical benefits. Woodall took us through an hour of increasingly involved “laughs,” some of which were downright ridiculous but got us perspiring. We channeled our inner primate and scratched our armpits. We wiggled with imaginary ice cubes down our shirts. We scowled until we guffawed. To conclude, we breathed deeply and did some freestyle laughing. Surrounded by unrestrained snorts and giggles, I hardly needed to fake it. Laughter for Everyone is held on the second Wednesday of each month at 7:30 p.m. at the Unitarian Universalist Congregation of Atlanta, 1911 Cliff Valley Way, uuca.org. To find other classes in the city, visit laughteryoga.org.